Now based in San Francisco, Ethiopian-born Wosene Worke Kosrof is a leading figure of contemporary African art who is known for his abstract style of vivid colors, rhythmical lines and use of Amharic (the official language of Ethiopia). His “Wordplay” series involves Amharic but also incorporates other languages, which he codifies or distorts into images before arranging them on canvas. 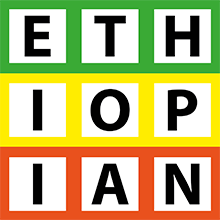 Often, letters resemble musical notes, referencing the influences of jazz and traditional and modern Ethiopian music. These 21 works bring together art, language and music in expressions that the artist hopes can transcend religious and cultural boundaries.